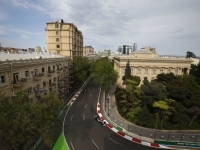 Azerbaijan GP 2018 Source: © 2018 Daimler AG. All rights reserved. I have very mixed emotions today. 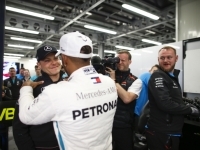 Valtteri deserved to win, he did an exceptional job and had a faultless drive. This is such a crazy and exciting race and I never gave up. I was constantly pushing but it was a real struggle. I feel incredibly grateful to come out with the win. You have to take the ups with the downs and I can’t complain that I won; I will take it and hopefully learn from today. 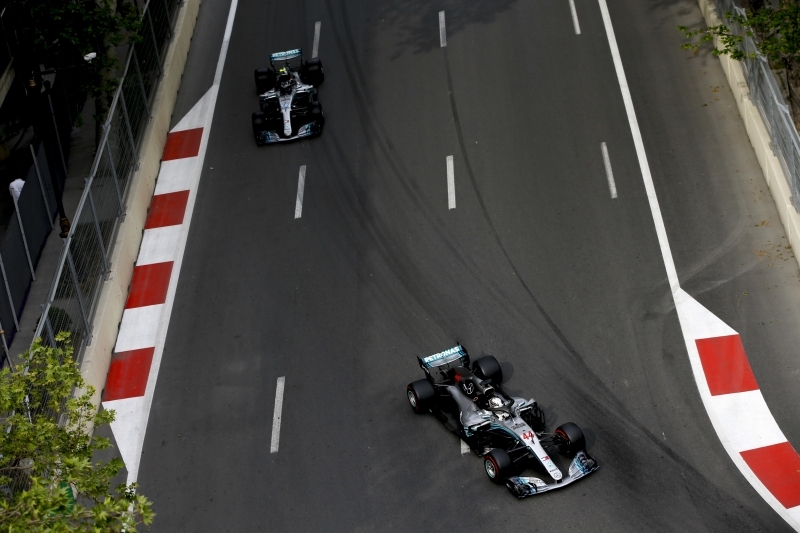 But Valtteri was very, very unfortunate, a one-two would have been a great result for the team. I would not have got by him in the remaining laps if he hadn’t had his tyre blow. It looks like Ferrari still has the better car, they outperformed us most of the weekend. We were able to just hold on to them during the race. We definitely have some work to do, but we are in the mix and it’s going to be very close. We have to keep our heads down and keep working. I’m absolutely heartbroken. It hurts a lot. But this is racing; some days are good, some days are bad – and some days are very bad. A small piece of debris destroyed my entire weekend. We had a good race until the puncture. The car felt really good and we were fast. I thought I had everything under control on the Safety Car restart, but then suddenly my tyre exploded. I didn’t see the debris and I couldn’t feel it until the tyre blew. It was really close the last couple of races, so it’s good that our team won today, but I’m obviously still very disappointed. I’ll try again in two weeks. 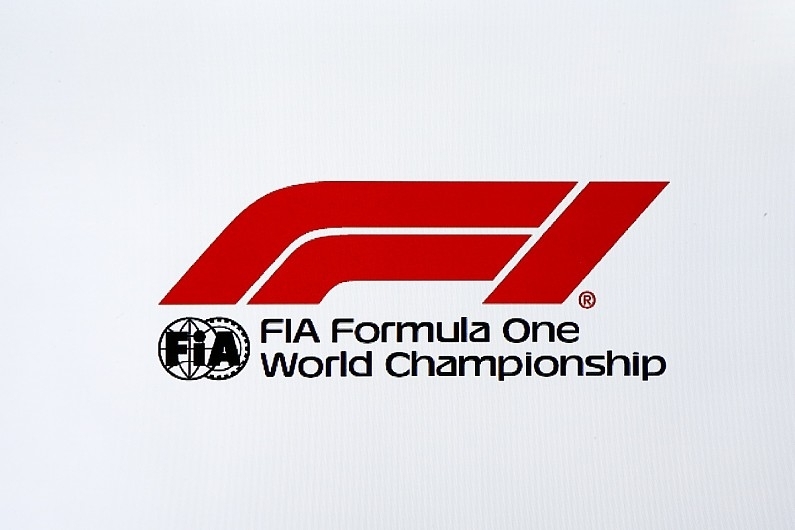 That was just a brutal race and probably exactly the kind of Grand Prix that fans want to see, with twists and turns at every point. 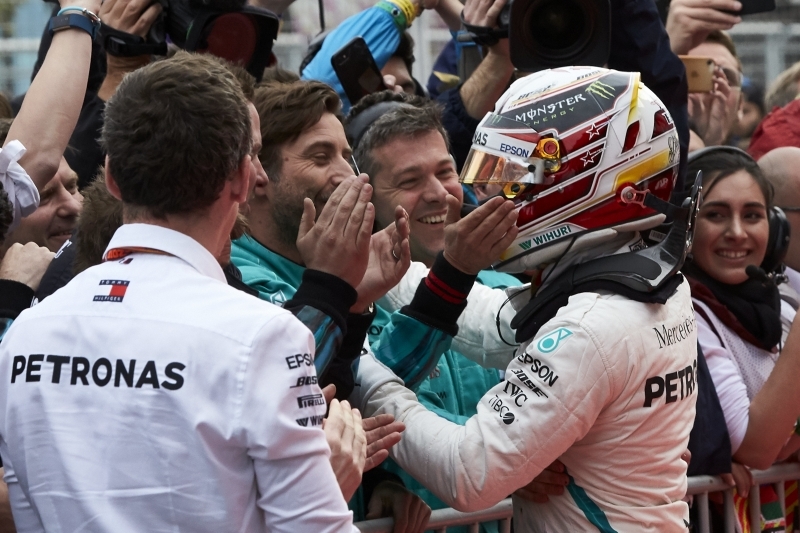 In the garage, it was a real rollercoaster of emotions for the whole team and I am really pleased to see us get our first win of the season with Lewis but equally incredibly disappointed for Valtteri who drove a perfect race. 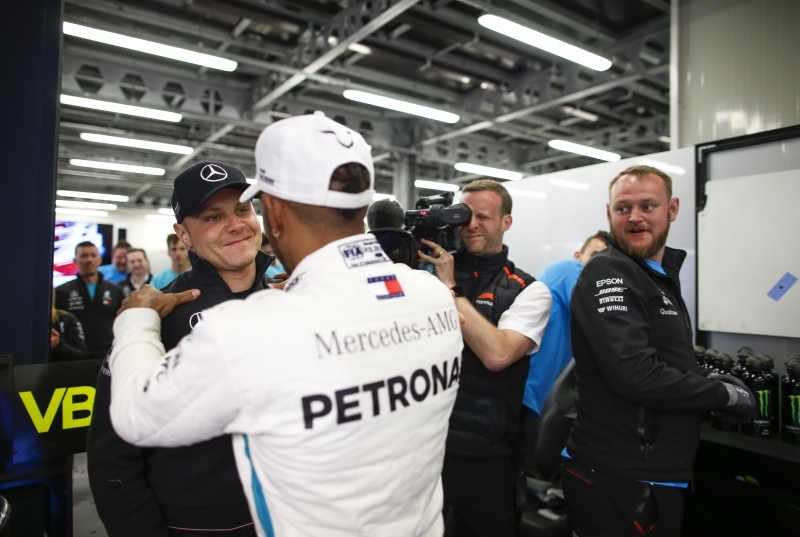 We went from looking like scoring a solid double podium, to suddenly having the possibility of a one-two before it was snatched away from us with Valtteri’s puncture, to still winning the race. 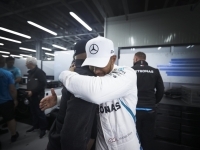 For Lewis, I guess that his luck has come full circle after the misfortune earlier in the season, and it’s probably fair to look at today as him getting back the win he lost in Melbourne. The race began pretty quietly, with clean starts for our guys and then everything unfolding steadily. 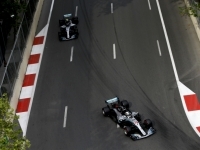 Lewis got caught out with a gust of wind under braking, flat spotting his first set of tyres. This forced him to stop on lap 22 and take the Soft compound to the finish. 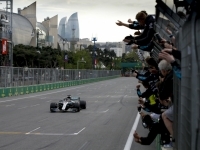 Meanwhile, Valtteri stayed out and was just getting faster and faster; we stayed on track because he was building the gap to Vettel, and perhaps had a chance for the win with a late charge on UltraSoft, when the Safety Car came out for the Red Bull accident. 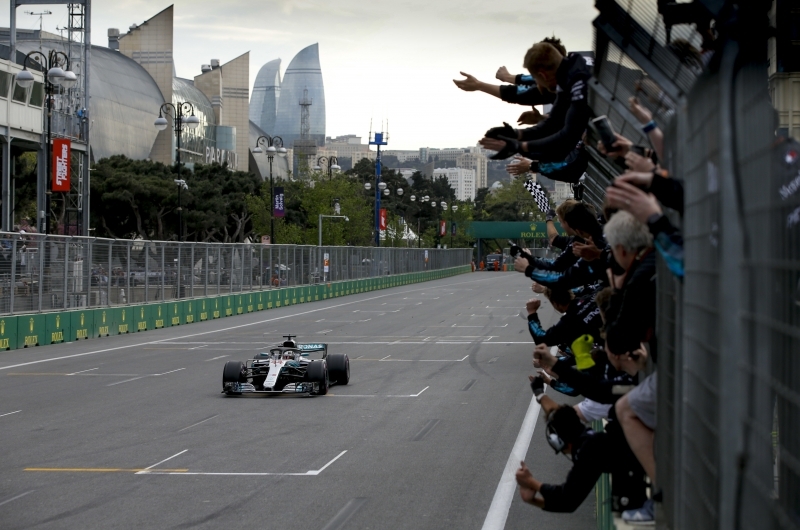 We pitted both cars and, after Sebastian’s mistake on the restart, we were set for the one-two finish when Valtteri hit a piece of debris that was on the track. Clearly that perfect result wasn’t meant to be today in such an unpredictable race. So it’s a bittersweet feeling: fantastic to get the win on the board and to be leading the drivers’ championship, but also disappointed because the quickest guy DNF’d with a puncture – and because we know there is still work ahead of us to improve the pace of the car in what will be a close three-way fight for the rest of the season. 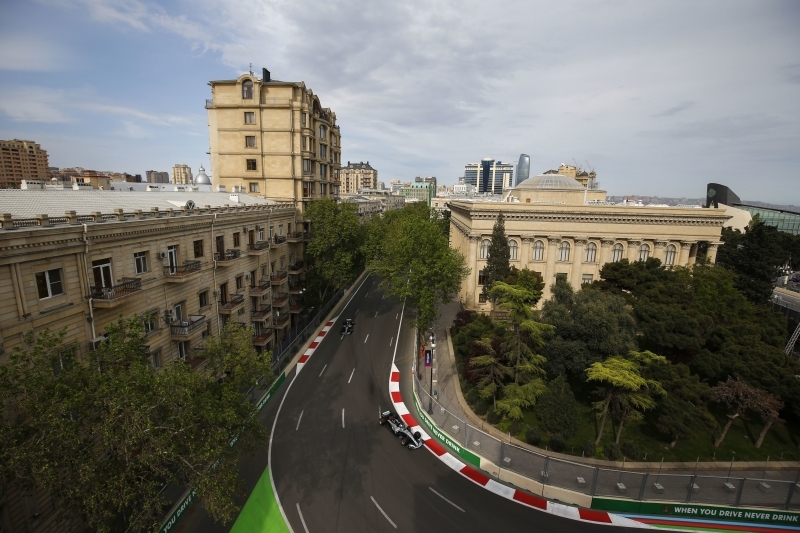 After three races where we had opportunities to win that we did not take, it’s great to have victory come our way this afternoon in Baku. 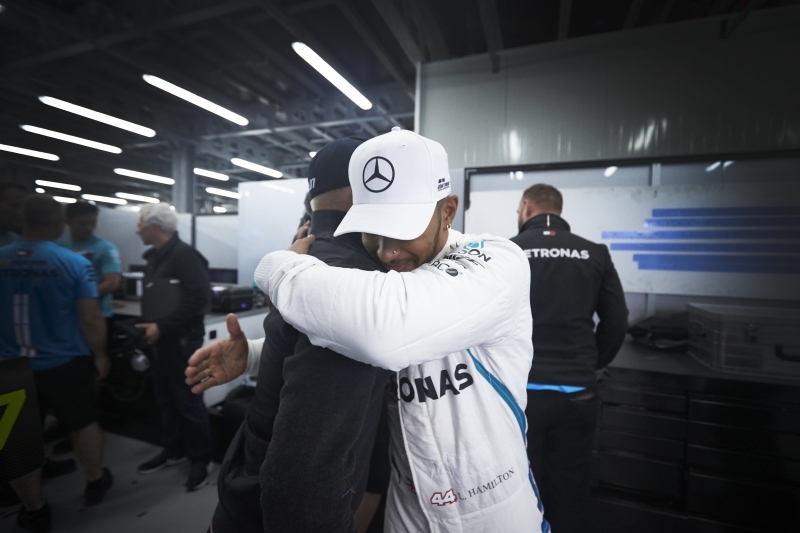 I am as pleased for Lewis as I am sad for Valtteri after the race. 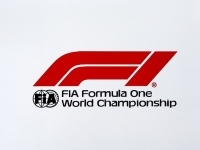 Both drivers delivered fine performances but it was a cruel blow to have the prospect of a one-two finish dangled in front of us and then whisked away at the last when Valtteri drove over some debris following the Safety Car period. That’s two races running where he has deserved a much better outcome and I am confident it will come for him in the future. 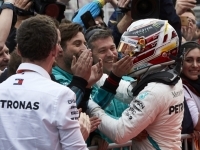 For Lewis, this was perhaps not the kind of swashbuckling victory he relishes but it nonetheless represents a measure of compensation for some of his misfortune in earlier races this season. On the operational side, the entire team performed well to recover from a difficult Friday and secure solid grid positions which were the foundations for today’s races. We delivered quick pit stops and excellent strategy decisions, all of which keep us in the game as we work to improve the car, in what is shaping up to be a dramatic and very memorable season.